This box is perfect for yourself, or as a gift for your wife, sister, or mother whom you want to thank for being a wonderful Mrs. Claus. The colorful tissue paper helped set the mood as I opened up the box and looked at the goodies it contained. 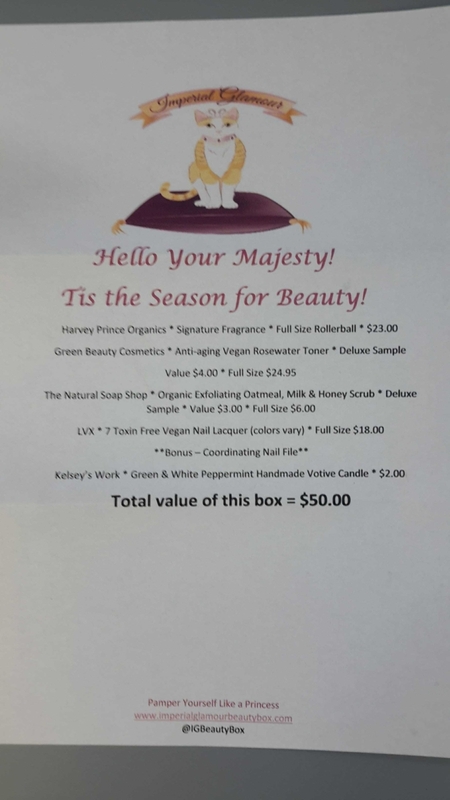 This month’s box was valued at $50, which is double the investment! DEAL: Get 10% off your first box. 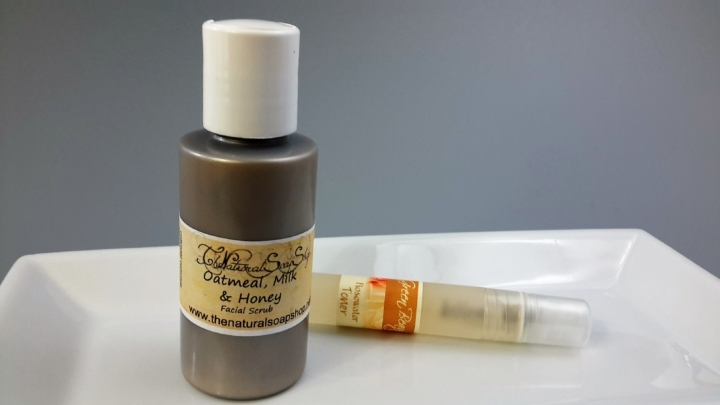 Use coupon code IGBeautyNewCust. 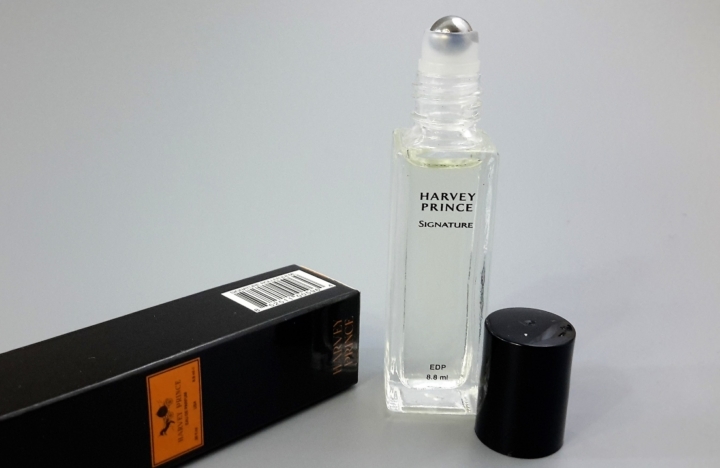 The Harvey Prince Signature Fragrance was something I’d consider a traditional perfume type scent. 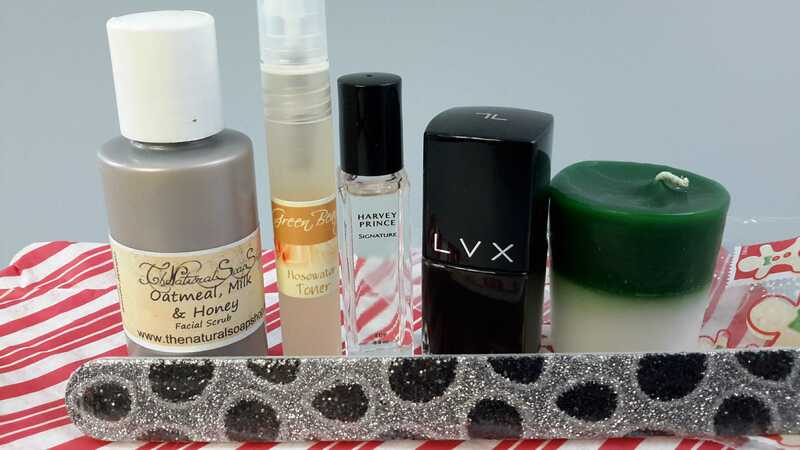 I like the roller ball applicator, but personally, I prefer more fruity scents so I happily gifted this to a friend who loved the scent. This Oatmeal, Milk & Honey facial scrub by the Natural Soap Shop smelled like you could eat it! The Green Beauty Cosmetics Anti-Aging Vegan Rosewater Toner was provided in a convenient pump top spray bottle. It smelled lovely and I’m looking forward to including it in my face washing routine. I washed my face with this scrub that smelled strongly of honey and was afraid my dog would try to lick my face afterward. 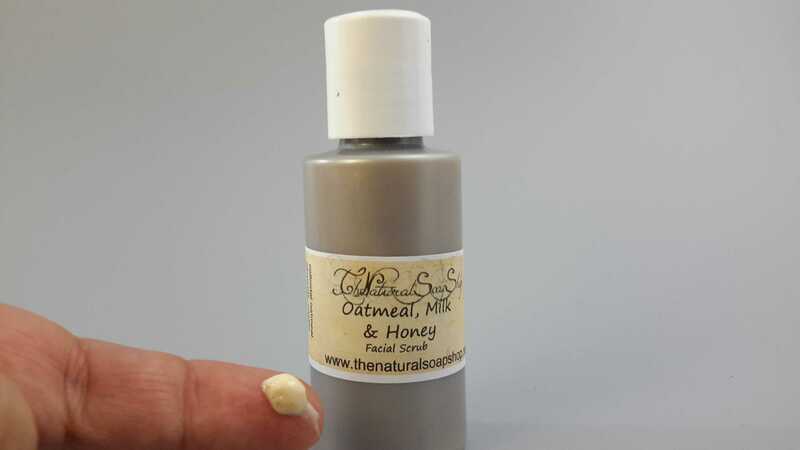 Luckily the honey scent did not linger and the Oatmeal part proved to be very moisturizing. 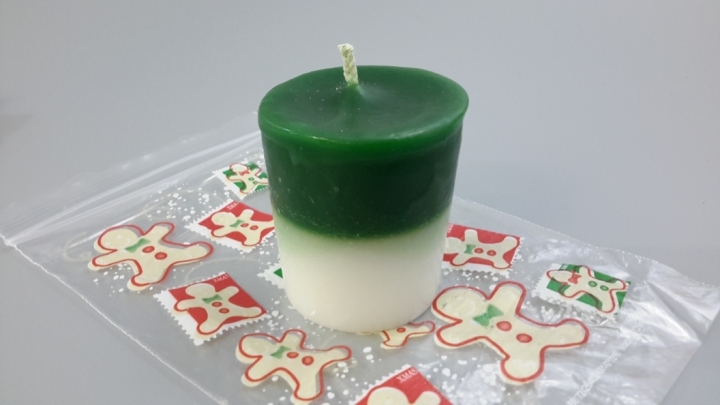 This hand poured two toned votive candle by Kelsey’s Work had a nice scent to it. Looking forward to lighting it to set the Holiday mood. It was also cutely packaged in the gingerbread zip top baggie. 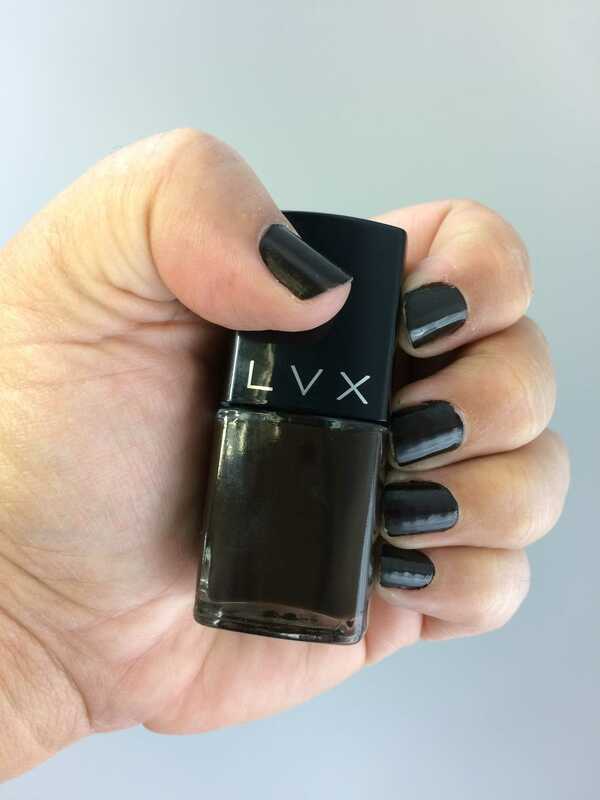 The nail polish by LVX was the color of a dark brown bear and named Mink. It was a great formula that lasted for a week. The matching nail file was also a nice touch with a sparkly polka dot print. The Polish came on smoothly and held on well. I applied a clear base coat, two coats of the Mink color, and a clear top coat. The picture below was the second day into the manicure. I would paint the tips just under the nail to seal it next time as I am often on a keyboard typing for a living but overall was very pleased with my manicure. See the included info page below for specifics on the cost of each item. 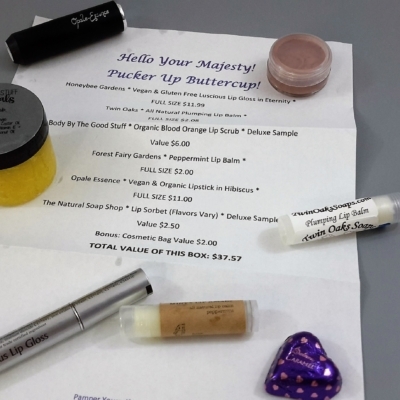 What did you think of this month’s Imperial Glamour Beauty Box? Let us know in the comment box! 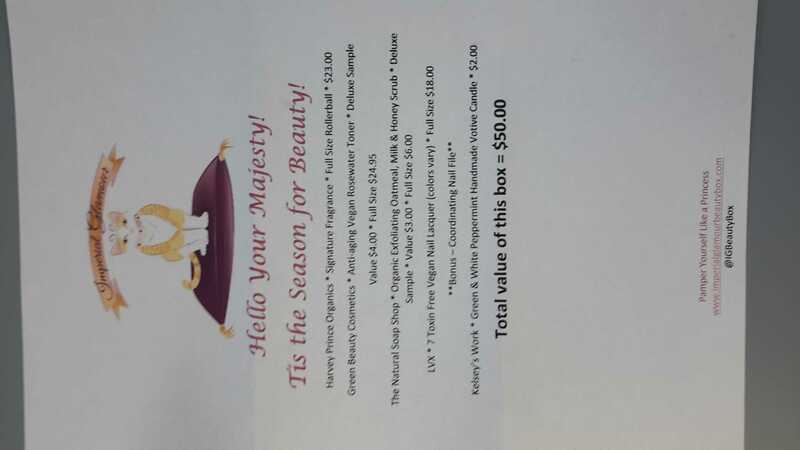 Visit Imperial Glamour Beauty Box to subscribe or find out more! Choose any two previously released full sized boxes from 2016 for a total of $40.00! Use coupon code Two4One. Valid for new subscribers only.